Andrea Hilton is a Project Manager who works alongside client contacts to initiate, strategize, deploy and manage independent contractors with the goal of completing an agreed upon objective within budget and on time. Andrea knows that her work is instrumental in all training implementation rollouts. Her ability to build relationships and maintain deployment strategies while working towards a shared objective with her clients is a clear component to any project management success story. Andrea believes that when a new training system or process is adopted, it can positively impact a business by providing a strong foundation for development and improvement, therefore influencing a positive culture. 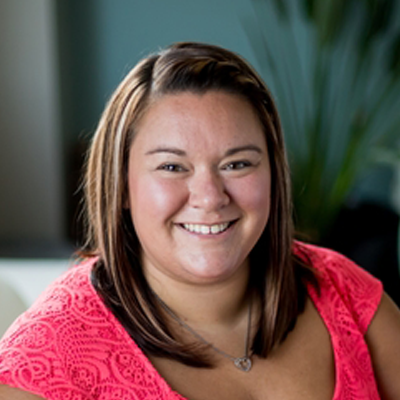 Within the 8 years Andrea has worked for The Training Associates, she has supported some of the company’s largest clients. Some of these names include, but are not limited to: Accenture, Pacific Gas & Electric, Sprint, and Expedia. Through successful deployments and strong partnerships, Andrea has been able to secure additional business in the forms of extensions and new project requests. Andrea has also been the recipient of the Million Dollar Club award for the past three years, showcasing her management and organizational capabilities. Andrea earned her B.A. from Fitchburg State University in Criminal Justice/Political Science. A job well done and accomplishing the desired result for both my client and for TTA is my main motivation. I enjoy the challenge of taking something on from the beginning and being able to mold it into what I believe will lead to success. If I were a super-hero, my powers would be the ability to control time – speed up, slow down, reverse! “I Wanna Dance With Somebody” – Whitney Houston. My kids, my husband, and tequila!